The situation is apparently linked to a restructuring of the magazine. The magazine industry is constantly in turmoil as print readership declines and tech conglomerates gobble up any potential revenue sources that could be had online. 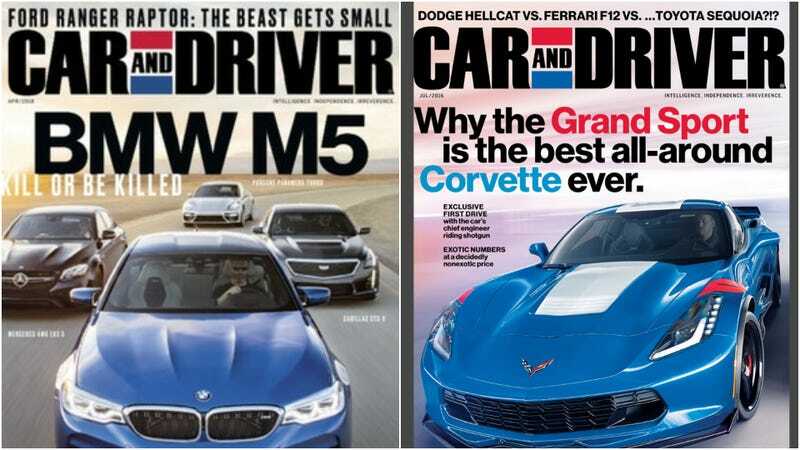 Now that unfortunate reality has fallen upon a heavyweight in the car magazine world: Jalopnik has learned that approximately 13 editorial staffers at Car and Driver were laid off this week as part of a restructuring effort at the magazine. Representatives for Hearst, which owns the magazine, have yet to respond to requests for comment. According to people familiar with the situation who spoke on condition of anonymity, the publication had a reorganization in the works for some time, and on Thursday that came to a head in the form of layoffs. The focus apparently is on the publication’s digital editorial team, and includes a mix of editors, reporters and production staffers. The layoffs include a number of familiar names from the publication, including Executive Online Editor Erik Johnson and associate online editor Tony Markovich. Car and Driver claims a total print circulation of 1.2 million. Most who’ve worked in journalism are familiar with the pain of experiencing layoffs at a moment’s notice, even if the terms are friendlier. More than 40 of our colleagues here at the Gizmodo Media Group recently took buyouts after our parent company Univision mandated budget cuts across each site, before putting that group of websites and The Onion publications up for sale. Know anything that’s going on at Car and Driver, or Hearst publications? Find out how to contact us here.